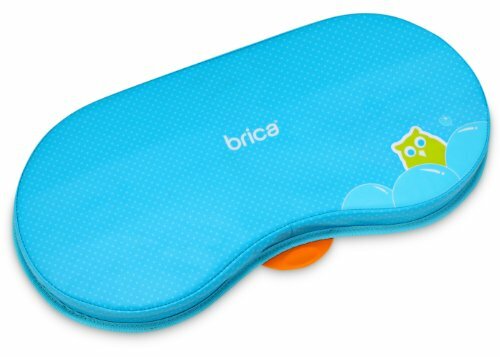 The BRICA Bath Kneeler provides welcome relief for tired knees at bath time. Constructed of durable, water-resistant material, the kneeling pad can also be hung on a towel bar to dry and store out of the way. The textured undersurface keeps the kneeler in place even when things get splashy.